One of the personal objects on display in The Tank Men exhibition is emblematic of the personal sacrifice made by so many men in World War One – a serious life-changing injury. Sydney Hadley was in command of a tank during the Hundred Days offensive, when his tank and those around him were shelled. His tank was destroyed and he was the only crewmen to survive. As a result of his wounds, he spent the rest of his life wearing a glass eye which was donated to the museum for the Tank Men exhibition. Hadley was born on 27 February 1898 in Aston, near Birmingham. He was the eldest son of a local solicitor. 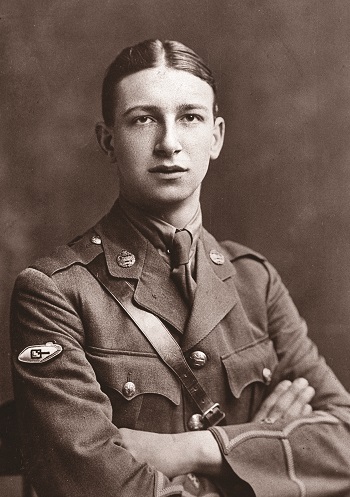 On 3 June 1916 Hadley enlisted into the Army. 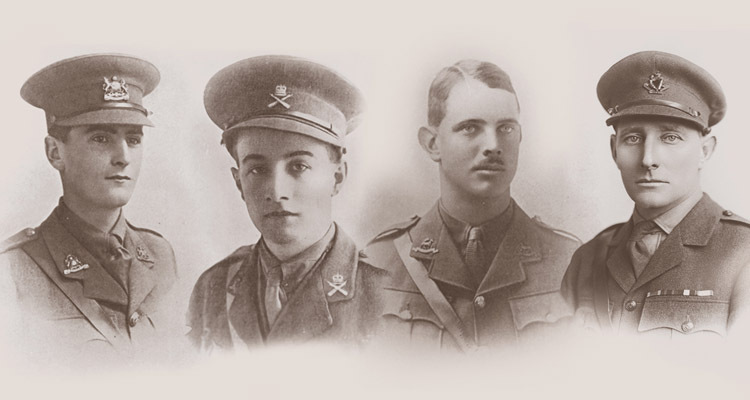 With the help of his father he transferred to the Honourable Artillery Company on 1 December. He applied for a commission the following month and, after joining the Machine Gun Corps, started officer training at their Depot near Grantham on 12 June 1917. Commissioned on 3 November, Hadley then trained as a tank commander. Unusually he was not assigned to a battalion being formed in Britain but instead deployed to France as an individual on 1 April 1918. One week later he was posted to an existing unit, the 8th Tank Battalion and joined them at the Tank Corps’ coastal ranges at Merlimont. The next month the Battalion deployed to defensive positions east of Amiens where they joined up with the 4th and 5th Australian Divisions. They were equipped with the new Mark V tank. The Allies were preparing for a major offensive. As part of these preparations, on 4 July, the 8th Battalion and the Australians captured the village of Hamel. This was a combined arms attack, using five infantry brigades and sixty tanks supported by aircraft and a ‘creeping’ or advancing artillery barrage. Hadley was in command of tank H29. His tank crossed the start line late but successfully engaged the Germans. The offensive began on 8 August with the Battle of Amiens. 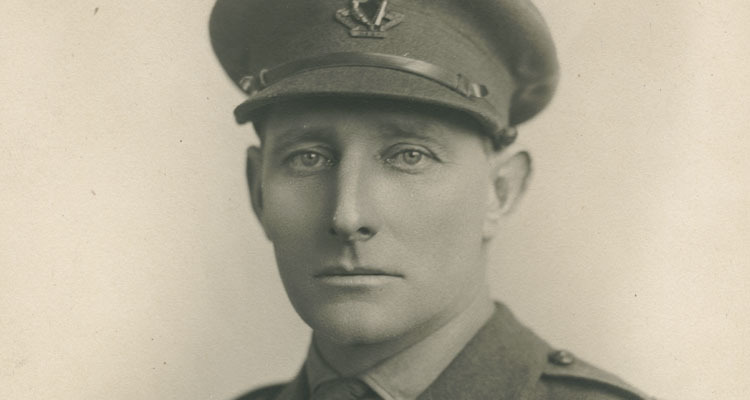 Hadley again commanded H29 in support of an Australian attack. They captured their initial objective at Morcourt before pushing on and destroying machine guns and snipers on Cerisy Ridge. Hamel and Amiens confirmed that combined arms warfare was the key to breaking out of the trenches and ultimately defeating the Germans. Using these tactics the Allies continued their offensive. Hadley next saw action at the St Quentin Canal on 29 September. In this battle his battalion again cooperated with Australian infantry. The morning was very misty and the attack went well. Later though the mist cleared and many tanks were knocked out by German guns. Hadley’s was one of them. The other 7 members of his crew were killed. He received several head injuries and lost his right eye. Despite Allied losses the battle was won. The offensive, which became known as the Hundred Days, continued until the Germans were forced to seek peace in November. For the rest of his life, Hadley received army issue glass eyes. 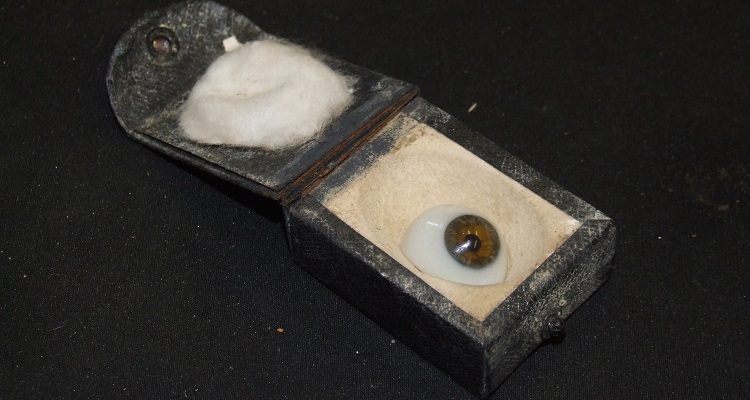 In order to make them as realistic as possible he sat for an artist who matched the glass eye to his remaining eye and aged the glass eyes accordingly throughout his life. His daughter Diana recalls the glass eyes and boxes of anti-septic cream arriving in the post during her childhood. Hadley recovered from his wounds, but carried pieces of shrapnel in his head and neck for the rest of his life. In September 1920, after he was demobilised, he was offered the opportunity to work for a London shipping company. Within a short time he was able to purchase the firm. The loss of his eye did not stop Hadley’s social life from flourishing. He enjoyed sea bathing and skiing holidays as well as taking part in the latest dance crazes. In 1942 Sydney and his secretary Marjorie married. Their daughter Diana was born in 1944. Although Sydney never wore his medals, he did wear a poppy in memory of his fellow crewmen. 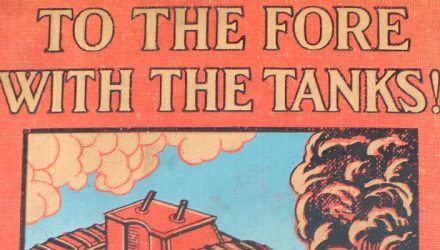 He explained to Diana how powerful tanks were in 1918 and what an excellent weapon system they had become. 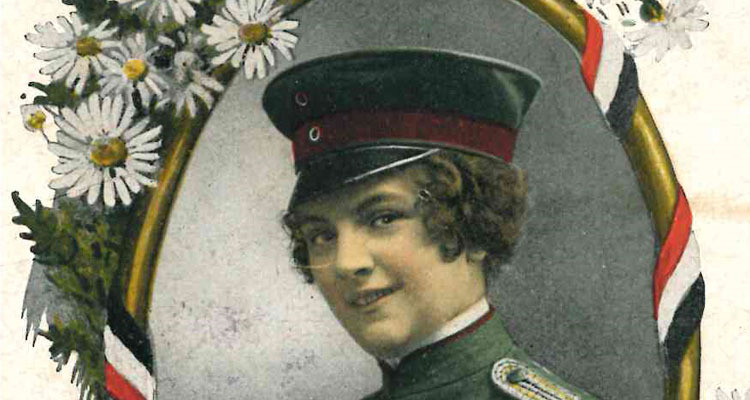 On 8 May 1961, aged 63, Sydney died peacefully at home with Marjorie by his bedside. Diana donated this glass eye to the museum in 2008 and has helped the museum tell her father’s story in the Tank Men exhibition. 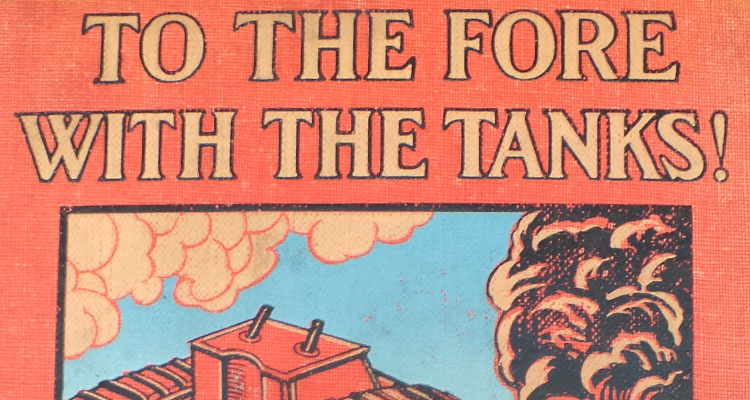 Find out more about visiting the Tank Men exhibition and the rest of the Museum here.